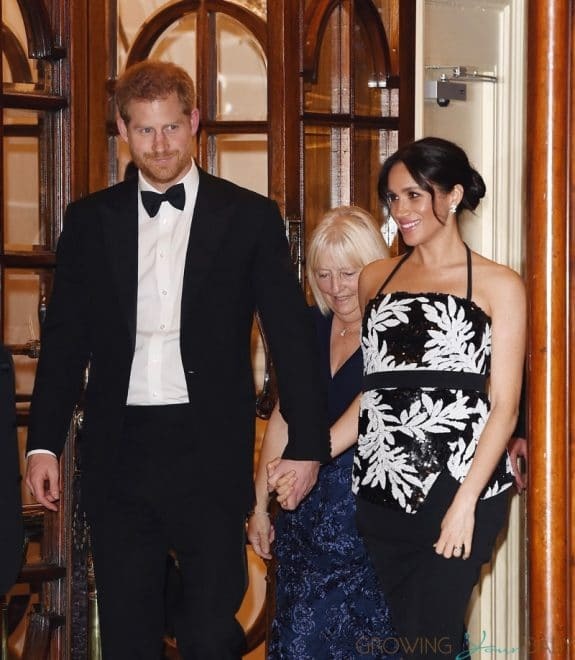 Pregnant Meghan, Duchess of Sussex and Prince Harry, Duke of Sussex were spotted leaving The Royal Variety Performance at London Palladium on Monday November 19, 2018. The money raised at the event will help entertainers throughout the UK in need of help and assistance as a result of old age, ill-health, or hard times. The Duke and Duchess of Sussex were greeted before the performance 7-year-old Darcie-Rae Moyse, who presented The Duchess with a bouquet of flowers. After the performance, The Duke and Duchess met performers on stage, including Andrea Bocelli, and TakeThat.